Terrapins are a type of turtle. They can live in freshwater like some other turtles BUT can also live in salt water, too. This type of mix of salty and fresh water is called brackish waters. Other types of turtles could not survive where the Diamondback Terrapins thrive. Why are they called "Diamondback" Terrapins? The shell or carapace of the terrapin has diamond shaped sections also called scutes. The rings of the scutes can help indicate the age of the terrapin. Diamondback terrapins can be found from Cape Cod, MA all the way down to the the gulf coast of Texas. They inhabit salt marsh ecosystems with brackish waters. While they range along the entire east coast and gulf, their habitat along the coastline is very specific and narrow in many areas. Why are we concerned about Diamondback Terrapins? Diamondback Terrapins have had a bumpy road to maintain their populations. In the past, they were used as a gourmet food item and their numbers diminished. Nowadays, they are facing other problems like loss of habitat, development of roads and buildings, drowning in crab pots, having their eggs taken by predators, and boats hitting them and disturbing their habitat. Locally, most of these threats are present especially those of roadways complicating their movements to find nesting areas. In addition, terrapins are important to the delicate salt marsh ecosystem. They eat periwinkle (a type of snail) as part of their diet. If the terrapins were not around to keep periwinkle in check, then the salt grasses would be completely consumed by periwinkle. Then, our salt marshes would turn into mudflats and completely alter the ecosystem. Brennessel, Barbara. Diamonds in the Marsh: A Natural History of the Diamondback Terrapin. Lebanon, NH: University Press of New England, 2006. Crawford, Brian A. , John C. Maerz, Nathan P. Nibbelink, Kurt A. Buhlmann, Terry M. Norton, and Shannon E. Albeke. "Hot spots and hot moments of diamondback terrapin road-crossing activity." Journal of Applied Ecology 51, 2014: 367-375. Hart, Kristen M., and David S. Lee. 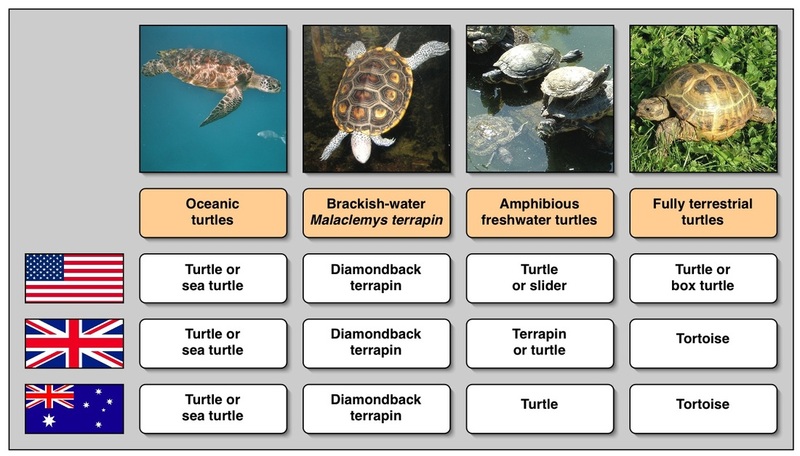 "Diamondback Terrapin: The Biology, Ecology, Cultural History, and Conservation Status of an Obligate Estuarine Turtle." Studies in Avian Biology 32, 2007: 206-213. Szerlag, S., and S. P. McRobert. "Road occurence and mortality of the northern diamondback terrapin." Applied Herpetology 3, 2006: 27-37. The Wetlands Institute. Terrapin Conservation. 2014. http://wetlandsinstitute.org/conservation/terrapin-conservation/ (accessed November 17, 2014). Wood, Roger C., and Rosalind Herlands. "Turtles and Tires: The Impact of Roadkills on Northern Diamondback Terrapin, Malaclemys terrapin terrapin, Populations on the Cape May Peninsula, Southern New Jersey, USA." Proceedings: Conservation, Restoration and Management of Tortoises and Turtles-An International Conference. New York Turtle and Tortoise Society, 1997. 46-53.